Relevant to our long term project. 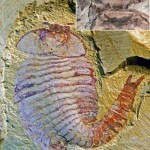 Arthropod evolutionary missing link found 520 million fossil. Made this video a while back. I was still on 3G internet at the new house so I couldn't upload it. Now I can.